Brandon and I knew we would know the wedding venue when we saw it and we would just know. I showed my mom and sister Falkirk Cultural Center’s website and told them that I wanted to see the place when we traveled up to San Rafael. Both of my lovely family members turned up their noses. “Ugh. It looks too old fashioned,” said Mama. “Hmm. Are you SURE there’s nothing else?” said Sister. “We need to see it in person!” said the Bride. One nice sunny Saturday, mom, sister, future bride and groom traveled to San Rafael and Sausalito with a list of places to try: Unitarian Universalist Congregation of Marin, St. Luke’s Presbyterian Church, Unity Center of Marin, and First Presbyterian Church. With the exception of Unity Center of Marin, all of the links will redirect you to my Yelp reviews for each venue. You can read my opinions there. Our first stop was UUC of Marin and it wasn’t the one. It was difficult to find, the venue was small, and I didn’t like the way the church looked. Our next stop was Falkirk Cultural Center and from the street it looked promising. Once we parked and got out I knew that I loved the venue. I didn’t think that I’d like a Victorian home, but I did. Within four minutes of exiting the car and surveying the premises Mom and Sister were already discussing an aisle littered with flower petals, draping, lights in trees, and the like. “This is the venue you said was too old fashioned,” said the Bride. “Well, it looks better in person, ” said Mom. “Get this one,” said Sister. A parlor inside the home. An entry into the house and an exit to the terrace. Main entry way. The house is being restored with items of the time period it was established. It’s also being repainted. I failed to get pictures of the furniture, but I fell in love with this couch! The photos above were taken by Brian John Hendon. The home also has two gardens and we will use one for the ceremony. The photos below are from Google and sources are noted. My creative artistic super cool friend who does all kinds of AWESOME and COOL stuff (he took a letterpress class to help me with invites, he sews, he builds things, he makes hats) is helping me with wedding planning and like my mom and sister he has no problem sharing his opinion. When I sent him video of the venue his exact words were…Nice. In Feybeeuhn lingo that’s the equivalent of stellar. After the caretaker showed us around the site Brandon and I went back and tentatively wrote our name down for the date we wanted. 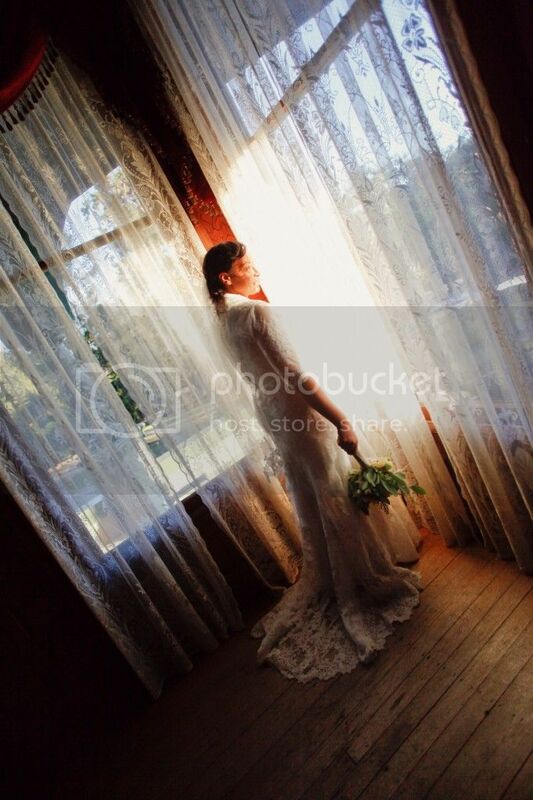 After some Google searching we found that September weddings in San Rafael are super popular due the gorgeous weather. So we went with September 8. After visiting Falkirk I made the mistake of insisting that we see the other venues on our list because I thought maybe they would be better. I was wrong and wasted precious time! After my mom, sister, and I made it back home I annoyed Beth, the contact person at Falkirk, to no end. Phone calls, emails, smoke signals, and Morse Code–she was super nice, answered all of my questions, clarified some things for me, and then we set the date and paid our deposit. 1. We have full use of the gardens and first floor of the home–even the grand piano. Yes! 2. The rental fees were within our budget and WAY less than any other venue that we looked into. Mention”wedding” and venues see $$. Falkirk is owned by the City of San Rafael and the fees are very affordable. 3. Bring Your Own____. Nearly EVERY vendor I found prior to Falkirk required brides and grooms to use a list with preferred vendors and if you wanted (and if they allowed you) to bring your own anything it was an additional fee. Falkirk gives you a list to help you, but you bring your own caterer (and alcohol if you prefer). They offer tables and chairs for the event. 4. The decor in the house and the gardens are awesome! We love everything about it. 1. Heat lamps are prohibited due to the nature of the home (fire hazard–this includes candles). 2. The home has a warming kitchen only. This means caterers will have to prepare food off site, which is what most do anyway. Thank you! I can’t believe we found it. HA!